The group was formed in 1980 on the spur of the moment before a concert with the song "First Day In Heaven" with Bill Gaither & Gary McSpadden of the Bill Gaither Trio, and Steve Green & Lee Young of the backup singers. Lee Young was dismissed in 1982, and Jon Mohr was hired as the new bass singer. They then recorded the album, Passin' The Faith Along. Later, tenor Steve Green left and Larnelle Harris was hired. This group cut the New Point Of View album before Mohr left. Lee Young was dismissed in 1982, and Jon Mohr was hired as the new bass singer. They then recorded the album, Passin' The Faith Along. Later, tenor Steve Green left and Larnelle Harris was hired. This group cut the New Point Of View album before Mohr left. At this point the "New Gaither Vocal Band' dropped the "new" part of their name. Bill Gaither dropped to the lowest part (although they didn't call it Bass at the time), Gary McSpadden was moved down to baritone and Michael English was hired as lead singer. Although the previous album (New Point Of View) had been more contemporary than its predecessors, the album with this version of the group (One X 1) took it even further. After this album, Larnelle left and was replaced by Lemuel Miller. The group did not record an album with Lemuel before he left. He was replaced by Imperials alumnus, Jim Murray. They cut one album (Wings) before Gary McSpadden left to devote more time to his solo career. Mark Lowry was tapped to replace him. Although Lowry admittedly didn't have the natural ear for the baritone part, or the experience, he added a great voice along with his comedy and soon made their sound more smooth. First planned to perhaps be their final album, their gospel roots project Homecoming, in 1991, caused most Southern Gospel fans to welcome the Vocal Band with open arms. A follow-up recording called Southern Classics cemented their relationship with fans. Jim Murray left and was replaced by Terry Franklin whose tenor voice was heard on the aforementioned, Southern Classics. Michael English left to pursue a popular solo career. He was replaced by Buddy Mullins. Terry Franklin soon left and was replaced by another Imperials alumnus, Jonathan Pierce. 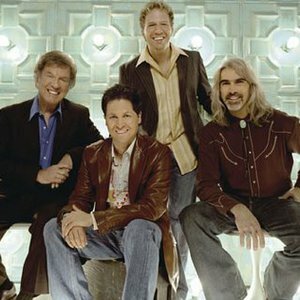 Strengthened by the popularity of the Homecoming video series, the Vocal Band added Guy Penrod at lead and after Pierce's departure, David Phelps was added at tenor. After Lowry's departure, The Imperials alumnus Russ Taff sang baritone for a couple of years. When Taff returned to solo work, Marshall Hall was his replacement. Wes Hampton succeeded Phelps in 2005. During the 1990s and into the first few years of the 21st century, the Gaither Vocal Band mastered the art of mixing classic Southern Gospel with Country and Inspirational styles. This gave the group a broad fan base that reached beyond the typical do. In 2009 Marshall Hall and Guy Penrod left the group. Instead of just replacing them, Bill decided to make the group a five-man band -- bringing back some crowd favorites: Michael English, Mark Lowry, and David Phelps.